Black Sheep Inn was once part of a very large property called Kyalla Park (more than 3000 acres), which has seen many uses. The name came about when the property was purchased in 1938 by the Kyalla Park Investment Co (aka Stewart Brothers), who were known as the Master Builders of Sydney. The Stewarts were responsible for the construction of Gladesville Bridge, Luna Park, and the first stages of the Gosford Freeway. Kyalla Park Investment Co maintained sheep, wheat, oats and started a Clydesdale Stud. Photo: Stacking of oat sheaves and processing of oats at Kyalla Park in 1930s. They paid a large sum of money to the Orange Council for electricity lines to be run out to the property which allowed the shearing shed to be electrified. 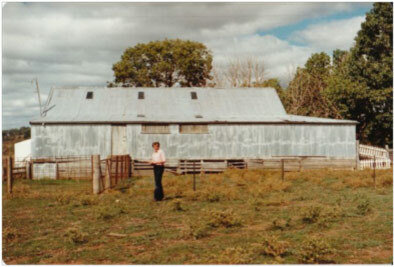 Interestingly, the Kyalla Park homestead was not connected to the electricity line (it had a generator and battery) as it was not considered as important as the woolshed. A newspaper article at the time noted Kyalla Park as having “one of the most modern shearing sheds in the Central West” with the “only complete electrical shearing equipment in the whole of Australia. Three hand-pieces are operated by three distinct motors, designed to reduce vibration” (see Newspaper Article – ‘Kyalla Park – Complete Model Farm’ – Source: Orange Leader, 29 August 1938). 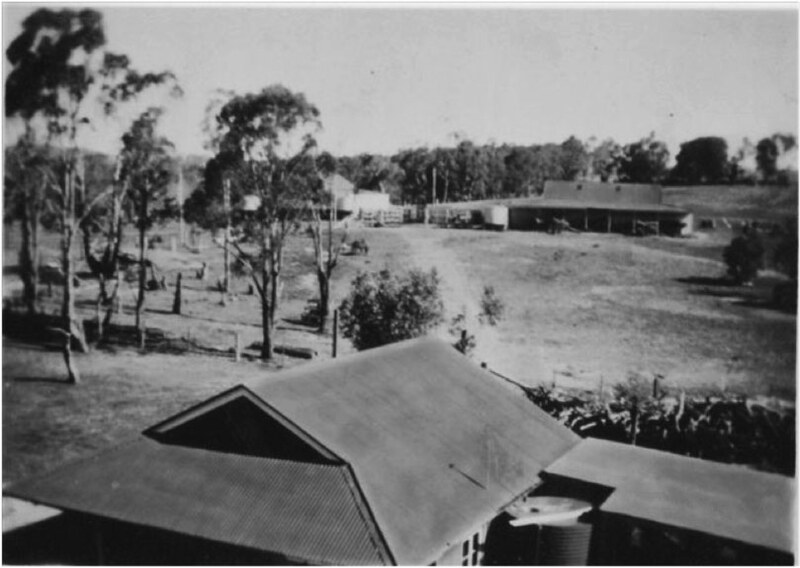 Photos of the Kyalla Park Garage (foreground), Clydesdale Stud and picture of old stables (now machinery shed – top right) and shearing shed (now Black Sheep Inn – top left) all constructed in the 1930s. Unfortunately, in the early 1940’s, a large storm or tornado/cyclone destroyed many of the buildings on Kyalla Park with substantial damage to the shearing shed (now Black Sheep Inn) and reconstruction was substantial (see Article below). Photo: Damage to Shearing Shed from cyclone. 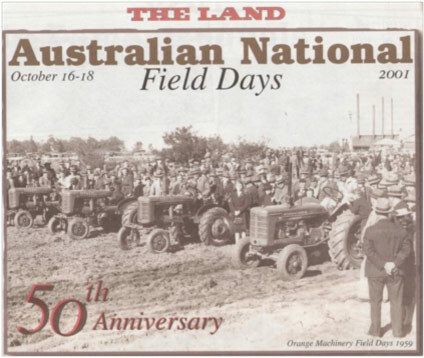 18 November 1952 – the First Orange Machinery Field Day was held on Kyalla Park (on an area of the property closer to town), organized by the Orange Branch of The Grazier’s Association. 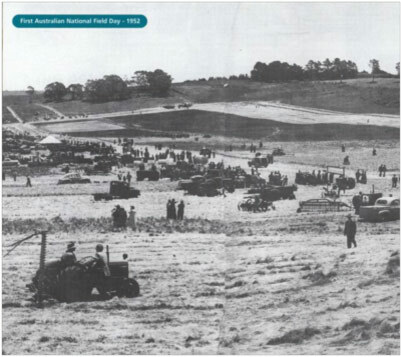 According to J. Miller in ‘A History of the Australian National Field Days 1952-2001′, this was “the largest practical demonstration of farm equipment ever held in the west of NSW”. It was a success. 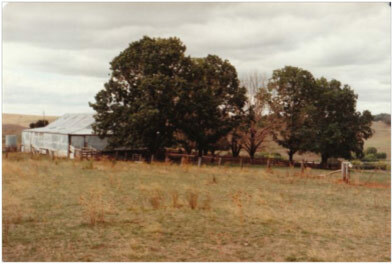 Due to the need for larger sites, it moved from Kyalla Park to other areas around Orange until it settled in 1966 at the Borenore site and became the Australian National Field Days. Picture: Orange Machinery Field Days at Kyalla Park in 1952. In 1983 Kyalla Park was purchased by Rob and Dee Napier. Originally from Tasmania, Rob became the principal of the Agricultural College in Orange (now the college is part of Charles Sturt University). Dee ran her own nursery in Orange on Summer St, called ‘Liberty Gardens’ (now with different owners, the nursery is called ‘Anything Grows’). Dee and Rob also ran sheep and the shearing shed was in production until the 1990’s, when wool prices fell. Dee saw the potential of transforming the shearing shed into unique accommodation and giving it new life. While she wanted to provide guests with modern comforts, Dee was also passionate about retaining as many of the original features of the shearing shed as possible, to celebrate a colourful industry and its’ history. So, Dee designed the B&B around original features such as the gorgeous Koertz woolpress (see last photo on this page), the shearing machines, the timber and pine floorboards, and the amazing wool-sorting table. 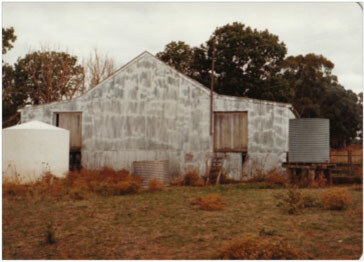 Photo(s): Original pictures of Shearing Shed – undated. In 2008, the original Shearing Shed (Black Sheep Inn) and the Shearers Quarters (Whispering Moon Cottage) was purchased from Rob and Dee Napier by their son and daughter-in-law, Andrew and Helen Napier. Andrew is in charge of farm maintenance and can often be seen on the tractor and mower, and he also runs his own Town Planning consultancy called Iplan Projects. Helen is passionate about Black Sheep Inn and promoting the region to guests – she’s in the little video below (created by our good friend Steven Forbes), throwing some highlights on Orange. 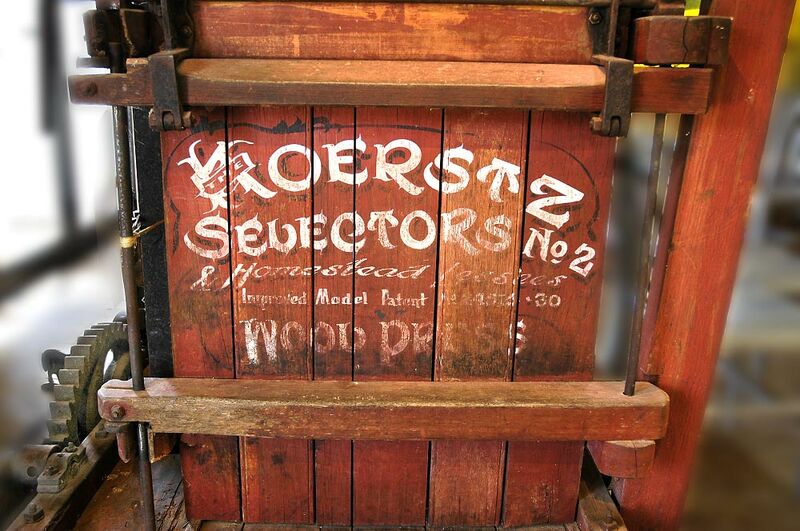 The last photo is of the gorgeous and original Koertz woolpress, which has pride of place in the Woolshed.